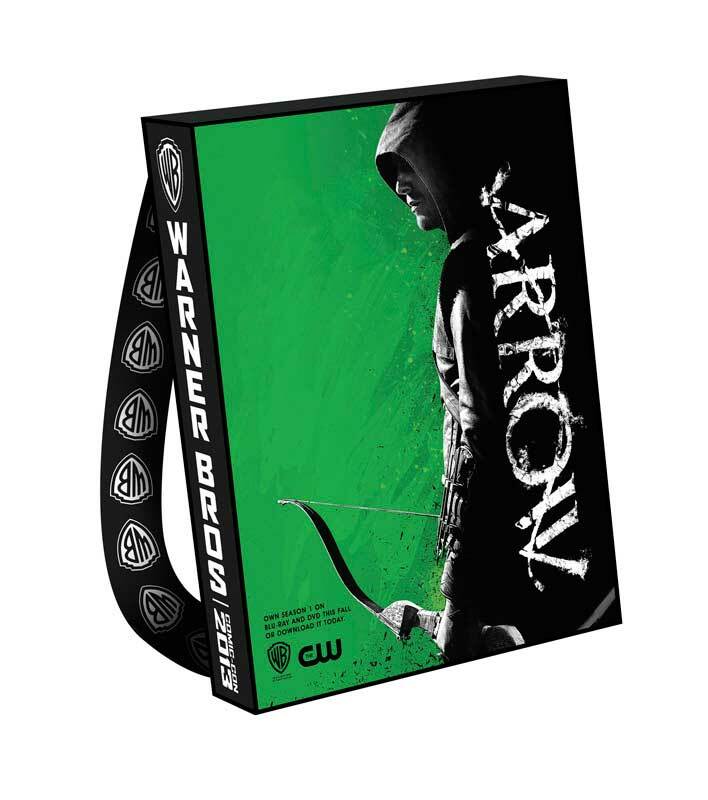 Arrow, The Big Bang Theroy, The Following, Revolution, Supernatural, The Vampire Diaries and Teen Titans Go! 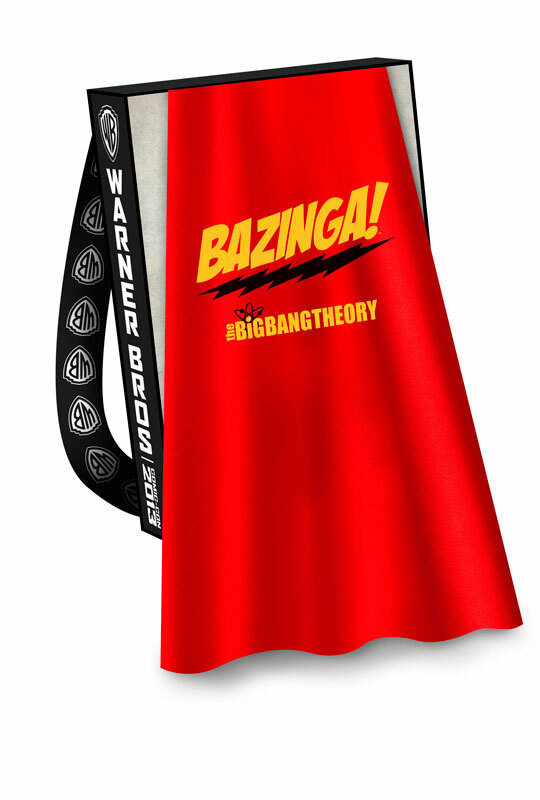 are the TV series that will be showcased on the bags, and you can see the designs and their respective capes in the gallery below. Godzilla, The LEGO Movie and 300: Rise of An Empire are the movie-related themes. 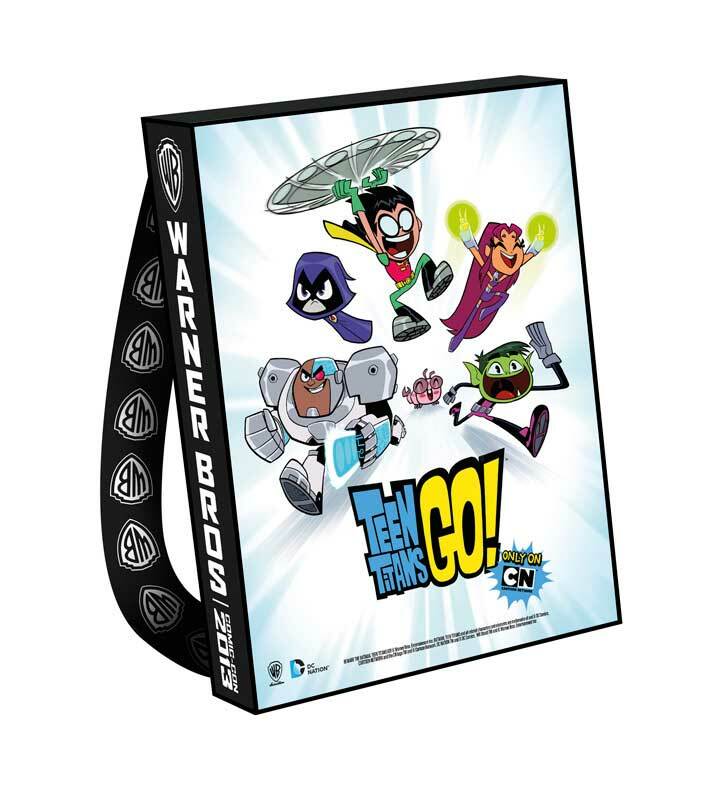 Also featured are DC Universe Original animated movie Justice League: The Flashpoint Paradox and the classic Batman TV series. Each bag has one design on one side and the official design (shown above) on the other. 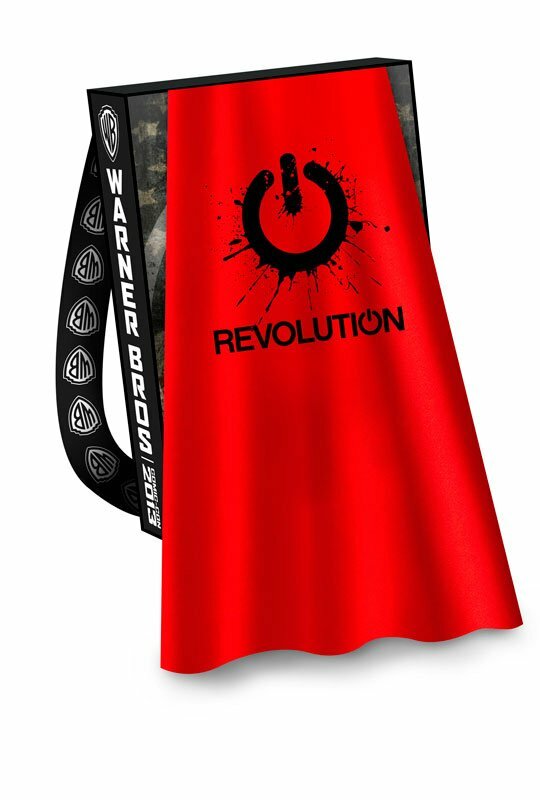 Those who've been to Comic-Con know that the bags are distributed to attendees when they check in at the convention center. 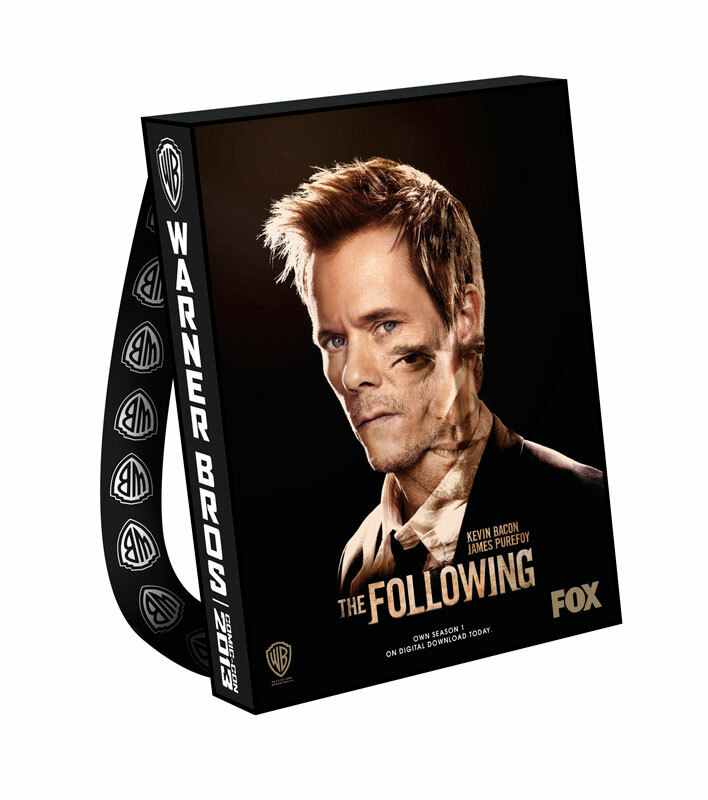 This is the fourth year that Warner Bros has teamed with Comic-Con for the bags, which serve as great swag-keepers when walking the floor. 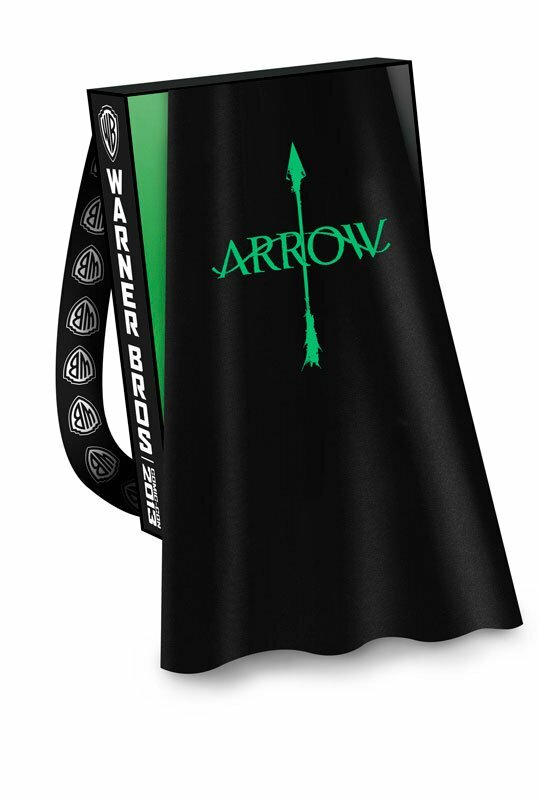 I've never been partial to the big shoulder strap (bag too big and I'm too short), nor did I ever manage to figure out how to use the strap to make the bag into a backpack as some people have, so I like that they're changing up the design for what sounds like a much more cape-compatible bag. 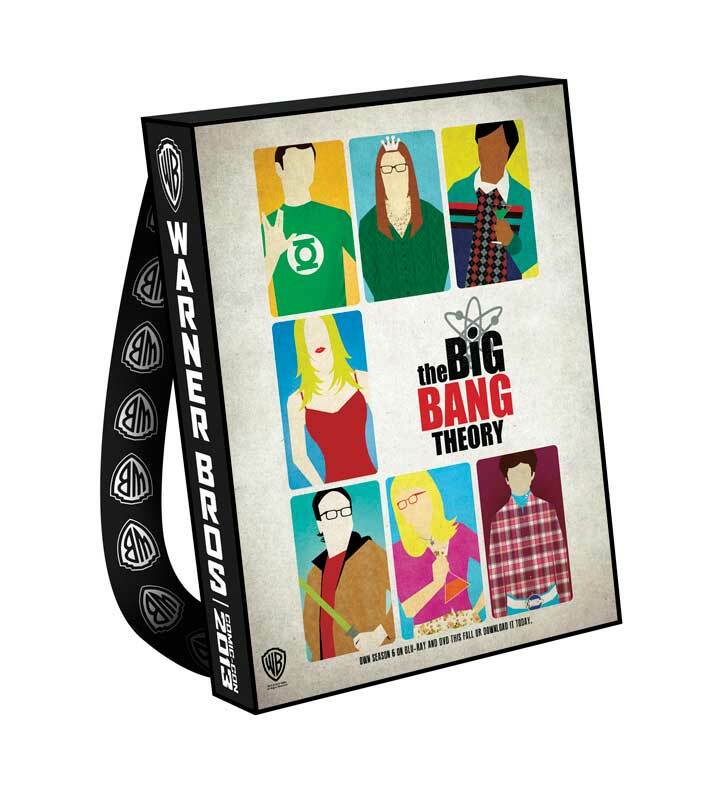 Of the cover designs, though I'm not a regular Big Bang Theory viewer, I really love the pop-art-looking bag for TBBT. 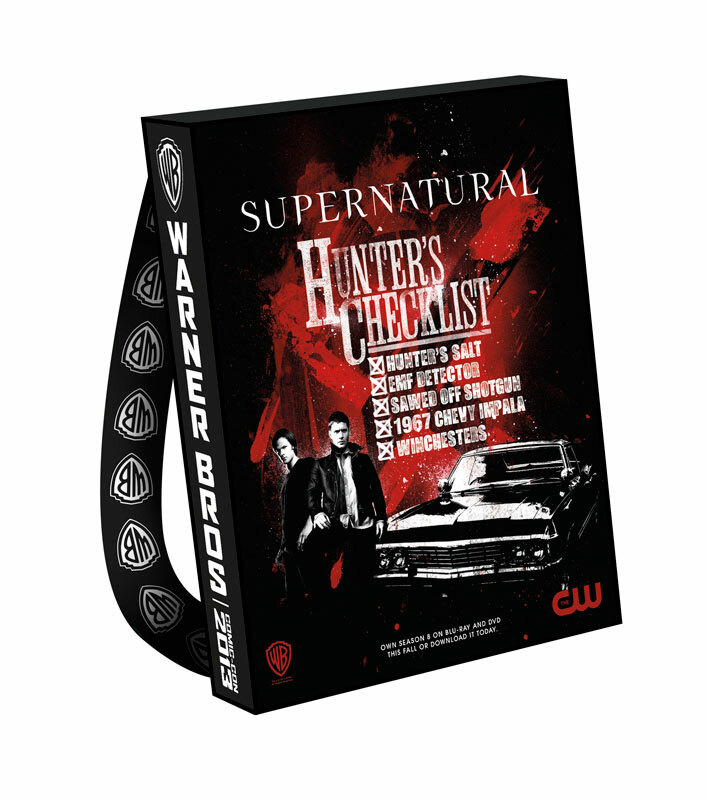 But all of them look great. 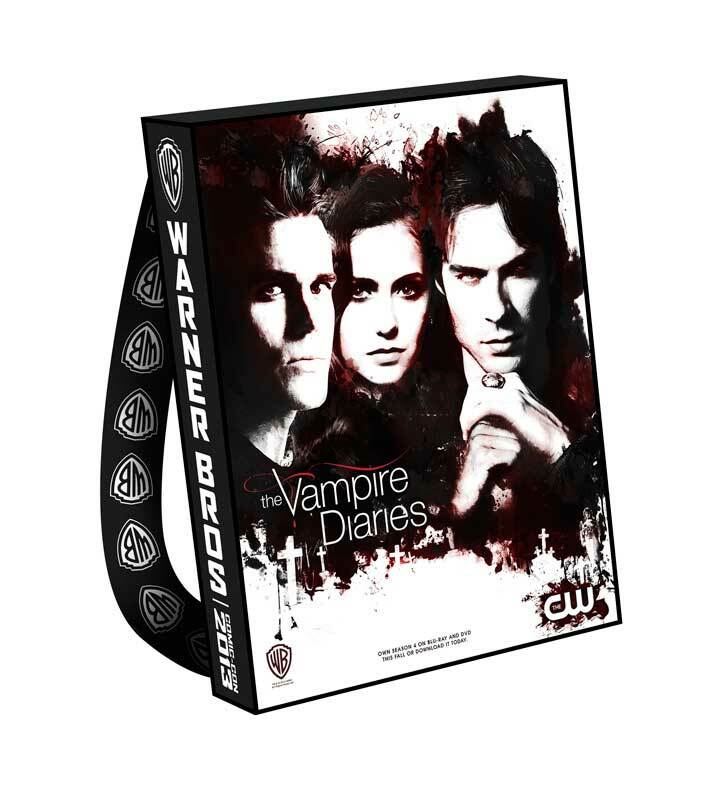 Of the returners, The Big Bang Theory, Arrow, Supernatural and The Vampire Diaries were all showcased on bags last year. 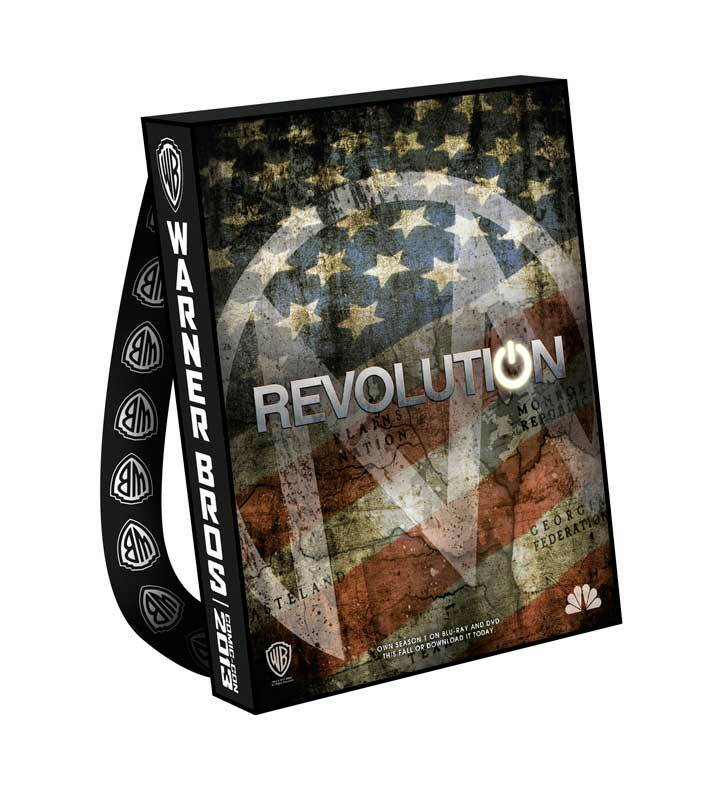 Warner Brothers is also previewing a number of their series during Preview Night (Wednesday). More on that here. 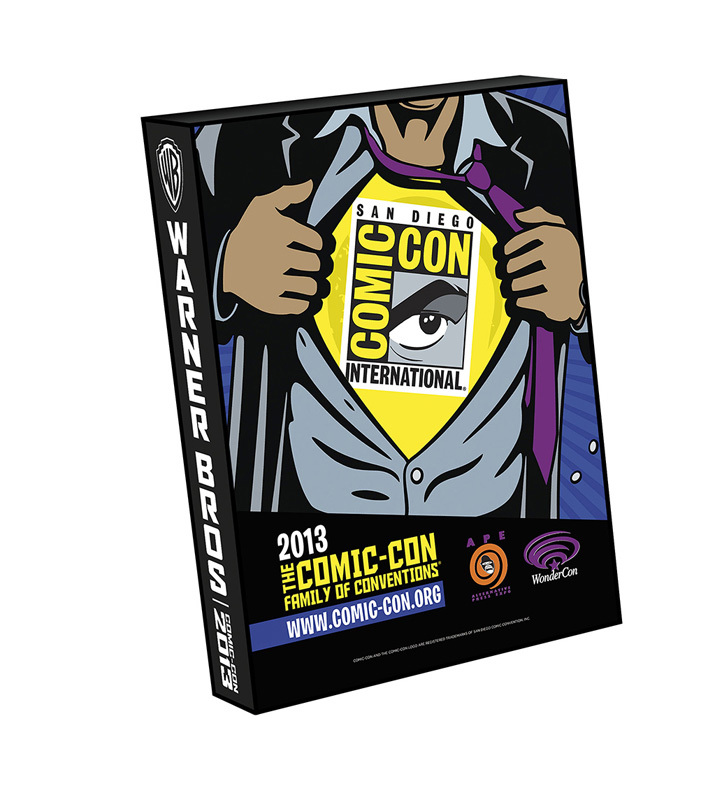 And check out our coverage for the TV panels set to take place during the convention next week here.